CRM Outlook Integration | 8x8, Inc. 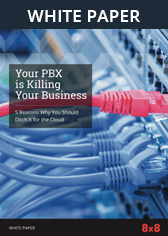 When users begin the transaction to using a cloud-based VOIP system, one of the most frequently mentioned points of resistance is the idea that they have worked too hard and too long to build up their contacts list. They are worried that it's all been in vain and that they will have to start over again, or spend hours importing and formatting it. This is a valid concern. That's why cloud-based VOIP from 8x8 has built a CRM Outlook integration into the system, in order to provide access to both Microsoft Outlook and to your 8x8 Customer Relationship Management software. Together, they provide the best of both worlds in one application. The setup is simple and fast, and requires no tedious, manual transferring of contacts. By using the 8x8 Virtual Office Desktop Application directory platform, you can easily search, sort and view your contacts through a single, simple-to-use interface. Would you like to click and place calls right from an email or from your Outlook contacts list? No problem. Or how about starting a Skype chat with a client without leaving the application? Easy to do. Even setting up a Virtual Office meeting with a handful of team members is built into the system. When you get to experience quality integration between your customer relationship management software and Microsoft Outlook, you begin to wonder how you ever did your work without it. Let's take a closer look at some of the most handy features of the integration. By its very nature, call center work requires multi-tasking. There's lots of information coming in and going out, and each point of contact is at a different point in the process. To not have to be constantly switching between applications is a real time and energy saver. So when you are looking at a contact's profile in your Contacts list and you want to reach out, it makes a big difference to simply be able to select the "Call with 8x8" button on the drop-down menu. No more closing the one app, opening the other one and making the call. Now it all just works together. The same goes for receiving incoming calls, too. When a client calls, the integrated CRM is able to recognize the phone number that is calling in, search through your Office Contacts list and provide the call agent with all the details they need about the caller. But that's not all. Any phone numbers that appear in an email you receive can be dialed automatically with just the click of a button. HD audio with transfer, park and three-way calling. Search and browse through your corporate directory. Import Outlook, Exchange, Skype for Business and Google contacts with Virtual Office Classic. 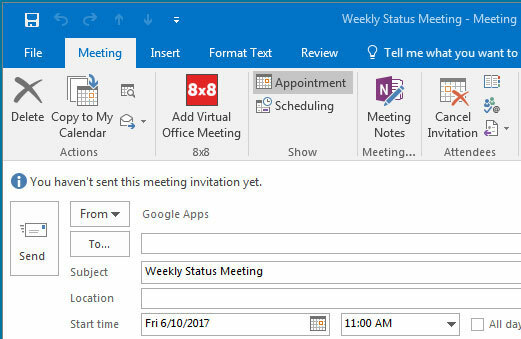 One of Outlook's primary strengths is the way that it facilitates meetings amongst a group of people with different schedules. 8x8 has recognized the value of that technology in Outlook and has integrated it in the application. 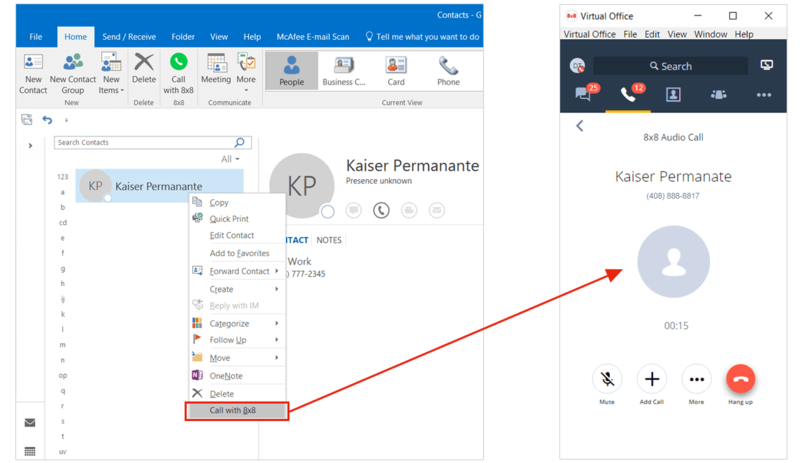 Within the CRM, you are able to check a co-worker's availability and schedule a Virtual Office Meeting from within Outlook, as well as view and join the Virtual Office Meetings you’re hosting or invited to from Outlook. For many users, the email client is their preferred workspace. They are used to how it works, and they have set up systems and schedules that they are comfortable with. The beauty of working with 8x8 is that it doesn't try to change user's behavior — it simply integrates the best of VOIP with the best of Outlook so that users can improve on what they do without being forced to learn new ways of working.